Choosing between pay per click advertising and organic marketing on the web can be an easy choice for most businesses. Of course we all like the organic way. Who wants to pay for web traffic? The choice though isn’t that easy, and sometime depends on where your business is in the market. For most of us, going the organic route starting out isn’t going to be the way to go, especially if we want a quick start out of the gates with instant income. For those who aren’t sure what the difference is between pay per click and organic marketing, understanding them is quite simple. If you’ve used google, you’ve like seen the ads pop up on the top, right side, and bottom of the screen from time to time with a green image that says “Ad” next to it. This is pay per click marketing. 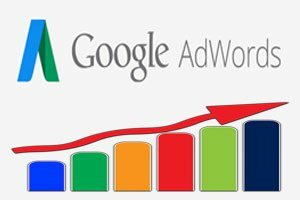 The basic premise is that people pay google put an ad with a link to their website in the google search results when certain words or phrases are searched for. Prices for words or phrases are based on a bidding system, with the more people bidding on a particular keyword or phrase driving up the price. While Google is one of the major companies offering this service, they aren’t the only ones. The Bing search engines offers a similar program and set up, as do several others, although Google happens to be one of the biggest. While this is a quick way to get ranked at the top and start getting customers right away, the drawback is that it can be pricey. Organic marketing on the other hand relies on getting your website to show up on the top of the search engines, usually just under the ads, when people search for certain keywords or phrases without you having to pay for it as you would with pay per click marketing. While this has the amazing cost of being free, it can also be extremely time consuming and is determined by a bunch of different factors, many that can only be guessed upon in the way Google determines where to place you. In most cases it can take several months of work to get up to that first page in a competitive way. One of the big drawbacks is that if Google changes just one of the factors they use for ranking you, it can knock you right back down several pages or more in the search engines. That can mean months of work out the window. Unless you’re a large, well known brand that putting a website up is likely to grab a ton of traffic off of your brand alone, or you’re a master at creating viral content that’s gonna get people to your site without much more effort, pay per click is usually the way to go for those starting off for a few different reasons. First, it starts getting consistent traffic to your website the minute you start it. This is great for a few different reasons. If what you’re selling is something people want, it can create instant income. If you’re not getting sales with the traffic, it could be a sign that you have to work on your sales pitch or that maybe there isn’t any interest in what you’re offering. If it’s a lack of interest, that can save you months of work that it would have taken to build the page organically only to find out it’s a failed idea. This doesn’t mean you should ignore organic marketing. Write articles, share them, hand out cards with your web address, and do anything else you have to to get people to your site. The long term goal should be to build a large organic following so that you don’t need to pay for it, or at least pay as much, in the future. Free is always better than paid for. In the meantime though, pay per click can give you that quick burst out the door to start turning a profit, and provides a nice measure of how much time you should invest into the organic marketing of your website. Black Door Media specializes in web design, photography, video, and motion graphics. If You Enjoy reading articles from Black Door Media subscribe to their RSS Feed!